These statisticians, analysts and former players have provided unique insights for rugby fans. They don’t always agree but the effort that goes into this makes for great reading and watching. This set of thoughts is based on attending two Live games and watching the others live on TV or on play back. From the get go Eddie’s plan was executed flawlessly by his team; who would have thought they would have targeted Earls and Kearney (wait on he was forced to sit out and ~Rob Henshaw was drafted in). The box kicking of Youngs was brilliant and accurate. Farrell’s kick offs were pin point and with hang time. May was outstanding at his chase and ability to go aerial and catch. There were some border line tackles from Itoje and Curry on Earls but the plan was being executed and bossed by Youngs and Farrell. The Irish didn’t seem able to react to the onslaught; they were not seeing front foot ball. Murray and Sexton were struggling. The talismanic Furlong was low profile and unable to dominate the scrum. The Irish lineout so often there trump card both on their own throw and defensively didn’t show up. The normally reliable Peter O’Mahony looked slow, laboured and injured; those ribs seemed to take away his leap. If you decide to play people out of position the 6 Nations isn’t the best place to start. The English team showed that an Eddie plan works. The old adage about the French away from home and it depends which side shows up rang throughout the game. That talent make them dangerous but not consistent. They can progress but such is International rugby these days, the depth of the squad now requires 45 players and it would seem Italy are at around 28 players. That makes it tough in a competition particularly the likes of the 6 Nations and Rugby World Cup. Level with or behind the back foot; which foot in particular - the folk in the local pub were confused. The off-side line does not seem to be patrolled and results in the attacking team having too little time and space. Bodies seem to fly in recklessly, at first glance aimed at doing harm to another player. When is a player off his feet? Where’s the gate? - at least the 6 Nations was on free to air so the local pub could invite local rugby fans, but they had plenty of questions. The ref has a tough job and a little like a cricket umpire looking for a front foot no-ball, you have to ask how he can keep an eye on everyone. If in doubt give the plaudits to the relevant defence coaches and call it line speed. The Welsh came so close to nilling Ireland; watching on TV it was difficult to comprehend. Sexton and Murray were on the back foot again, Rob Evans was getting the better of Furlong and that injury to George North seemed to give the Welsh wings with an extra playmaker in the torrential Cardiff rain. AWJ was a colossus as a player, a leader and a human being. Meanwhile at Twickenham Eddie and Owen looked shell shocked at the end of their 38 all draw. The plan looked so good for 35 minutes - the English looked like they were about to embarrass the Scots. That didn’t happen, the Scots fought back and came so close to the win. 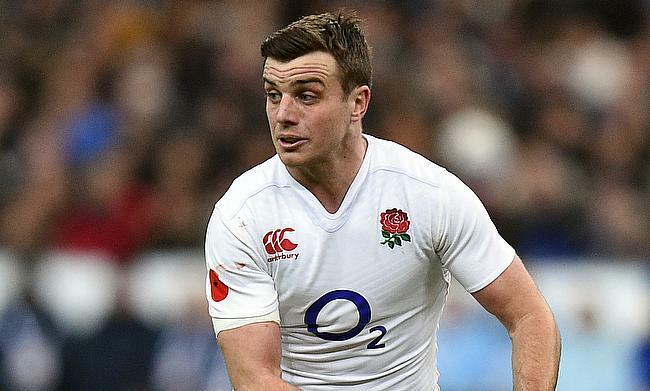 It was George Ford who held his nerve and re-galvanised the English; leadership. The much talked about Senior Leadership Group within the English team didn’t turn up second half and it was their embarrassment not the Scots we all witnessed. The Scots needed inspiration and it came from the laconic Finn Russell, not a war painted braveheart - leadership comes in many forms. Remember Paul Hill, England’s Tight Head prop. He won a triple crown months after playing for Otley Rugby in National 2N; still winning medals he was part of Saints winning side on Sunday in the Premiership Cup. Tom Curry, Seb Negri and Jake Polledri have all seen action in National 1 and National 2. The two Italians having played BUCS Super Rugby with Hartpury.